www.halfalert.com | ..is better than No Lert!! ..is better than No Lert!! With personnel leaving at a record rate, most recently Tom Bossert, the Homeland Security Advisor, Pres. 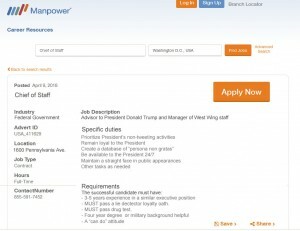 Trump appears close to a deal with Manpower (ManpowerGroup) to fill cabinet and other high level positions with temporary contract workers. Big vacancy coming? Click for full size image. 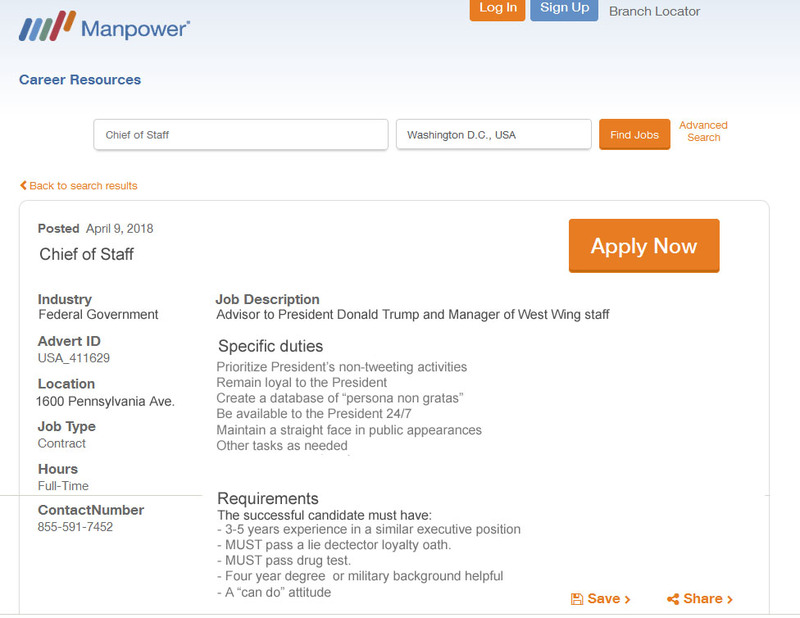 Recent openings posted on the ManpowerGroup website (see screenshot) include a most conspicuous opening for a “Chief of Staff”, indicating Col. John Kelly may soon leave the Trump administration. When asked if the Whitehouse was considering using competitive bidding, including other agencies, such as Kelly Services, she offered a terse, “No comment.” Through trusted sources, we were told that Kelly was offered a “piece of the action,” but declined, based on The Trump Organization’s failure to pay Kelley $5.1 M for services on multiple projects from 1996-2006. The “Russian Dossier ” is a series of memos by investigator Christopher Steele, which focuses on Hilary Clinton, Donald Trump, Michael Flynn, et al, involved with Russians during the 2016 election cycle. Buzzfeed.com made it available online, but it was poorly copied. I have “cleaned it up” (increased contrast, enlarged slightly). Here is a link to all 35 pages: TrumpDossier_35pp. Link: More notes on the Dossier. Kushner and Junior Under the Bus ? If anybody can toughen up these punks, it’s G.Gordon! Even though Amazon is becoming the “king of the retail jungle,” we occasionally get junk mail that reminds us of the good old days. 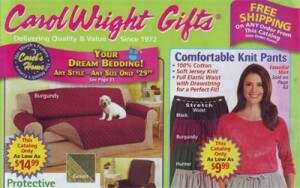 Truly, a catalogue of comfort, don’t you think? 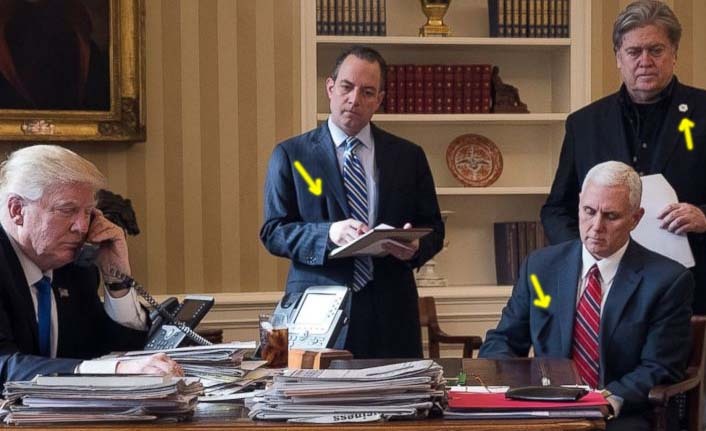 After an especially “interesting” week of drama in the Trump Oval Office, it’s easy to lose track of what all happened. The big news on Monday (7/24) was Trump’s tweets relentlessly bashing his Atty. General and early campaign backer, Jeff Sessions of Alabama. 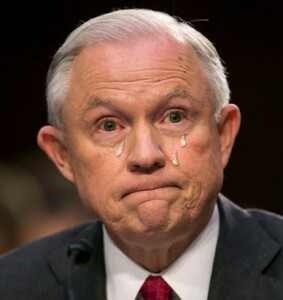 After being brought to tears by Trump’s Tweets, Attorney General Sessions is pushing back, with support from the Senate and House. By Wednesday (7/25) Trump tweeted a major policy change: the military will not allow LGBT citizens to serve. This caught the Pentagon brass by surprise, and served as a distraction from updates on Congressional probes into Russian connections with the Trump campaign. 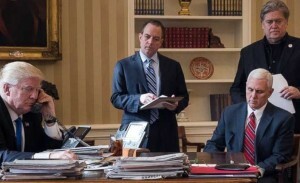 Then, a late Wednesday night phone call by (not yet actually serving in the position) Trump’s new capodicena, Anthony “Mooch” Scarmucci, to New Yorker writer Ryan Lizza, really blew up the news-cycle. With recent revelations regarding the turmoil in the Trump Whitehouse, a new outside threat has appeared, and several staff members have taken action: food tasters are now as common as criminal lawyers amongst Team Trump. 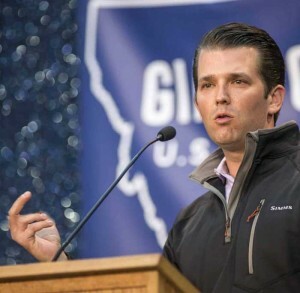 Most notably, though he is not an official staff member, is Trump Jr.’s recent acquisition of a “master taster”. Trump Jr.’s extensive contacts (email and meetings) with Russians may have jeopardized deals with the Trump business and other “off the record” deals that Trump has made with the Russian Mafiya, where Putin is a powerful, though “unofficial” officer. Several opponents who have crossed Putin and his cronies in both politics, and in attempting to apply the rule of law, have been killed (link to details). Most died from various poisons, radiation or more violent methods. Thus, a food taster (most Presidents use them) becomes a basic necessity, in addition to bodyguards and other more “conventional” protection afforded people of power and influence. Did Obama have a food taster? The Snopes website rates this a “true”! Can you see the “bugs?” Click here to test your counter-espionage IQ and see the wired men. 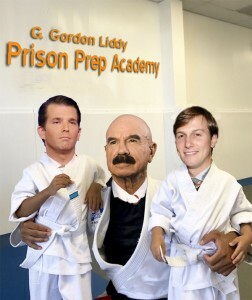 Perhaps even more telling of the tense mood and conflict within the Trump inner circle, is the rumor that some staff, including Jared Kushner, have hired backup food tasters, and are wearing recording devices under their clothes, to rectify the complex set of values needed to stay out of prison, stay alive, and still remain “on-board the Trump Train” to make America great again. Just weeks into his first tumultuous term, President Trump has disparaged major, mainstream news outlets, calling them fake news. 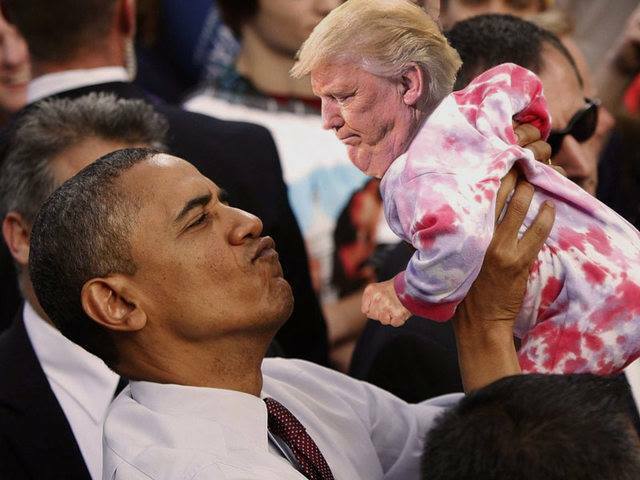 The “Little Trump” meme has been very upsetting to Mr. Trump. Now, he is livid about unflattering internet images created with Adobe’s Photoshop, and in a (leaked) phone call to Shantanu Narayen, the Adobe CEO, Trump suggested “bad things,” such as computer hacking, might happen unless they modify Photoshop programs to prevent manipulation of Trump images. Christie has special transition plans for some areas of U.S.
Gov. Chris Christie, who is Trump’s “transition team leader” has been discussing post-election actions to drive home Trump’s special theme of unity. Sources close to his team have mentioned possible “attitude adjustments” will be in order for certain areas of the U.S. that were Republican strongholds, but didn’t get on the Trump Train. Tic Tacs aren’t just for work! As you might expect, sharp business people like Donald Trump have a gift, call it a knack, for taking a bad situation and finding a new angle, a new way to turn things around. The latest controversy over video/audio from 2005, where Trump admits assaulting women and attempting to seduce a married woman, has shocked many. 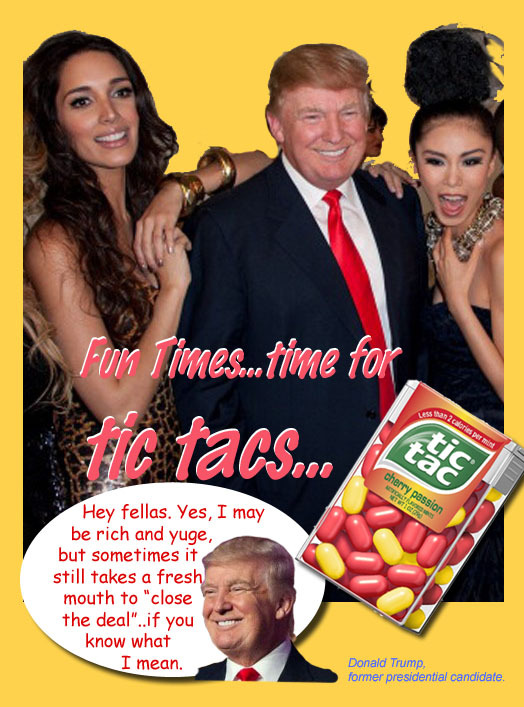 In the video, Trump says he needs a Tic Tac in case he kisses the actress he is about to meet. Soprano mentioned that one trial ad is ready and more are to come in the next few weeks, before the U.S. elections. After admitting he was guilty of sexual assault and harassment, and facing an unprecedented wave of disgust and rejection by the Republican Party, Donald Trump is doubling down again. This time, he is comparing, and blaming, his behavior with stories that Bill Clinton told him when they were golfing buddies–apparently Clinton talked, according to Trump, like a “very nasty boy, not nice at all,” on the links. Trump went on to say that although he was uncomfortable with the tone of the jokes and stories, he didn’t say anything because he didn’t want to offend the former president. Comic recreation of events that ultimately lead to the recent Trump controversy. Original material by Dane Tovey. Other content covered by fair-use provisions of U.S.